When I was in Williams Sonoma I had spied this little number that I've been wanting forever now, but did not know that it had also come in pink! I'm in heaven!! I think I'm on my third hand held mixer at the moment. The other 2 couldn't handle the amount of baking I was doing. So far the current one is holding up, but I still wouldn't turn down the KitchenAid 9-Speed hand mixer at all!! I had always thought that this mixer was expensive...like in the $200 range. To my utter surprise, it's actually quite reasonable at $99 CDN!! My birthday is in 8 days, I've been dropping mad hints but have a feeling I'm going to have to wait for another time to get my hands on this. 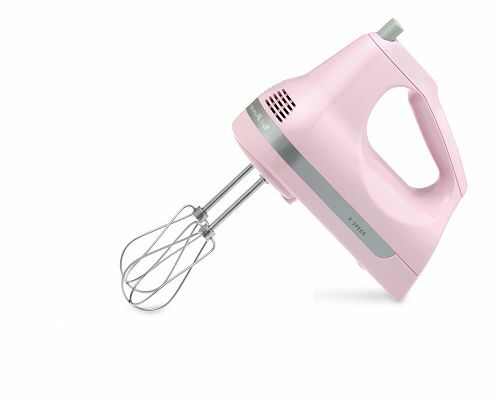 Another kitchen appliance that I've had my eye on for the past, oh, 5 years now...the KitchenAid Artisan Stand mixer...in pink of course! 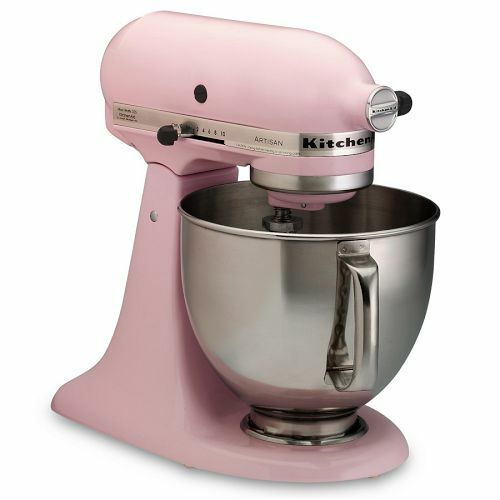 I've never had a stand mixer before, and if I were to ever get one, it would be this one and only this one. I have dreams of baking cakes, breads, and cookies in massive quantities with this magnificent machine. My holiday baking would go by so much faster and smoother with it. I...must...have...NOW!! *sigh* I've waited 5 years for this, I'll probably have to wait another 5 in order to call this mixer mine...how sad.